Forgive him – he just flew in from Moscow. so in typically polished performances. Portrait,” an exploration of Bearden’s work through the examination of sampling, Miller went from the jumping off point of collage. Collage, as well as African-American culture, was a main focus of Bearden’s work. The presentation began with a demonstration of what sampling is, choosing two standard jazz pieces and mixing them using an iPad application Miller had developed. This showcased both the elements of improvisation and collage, as subsequent work were built of this process. Rather than focus on Bearden’s work, though, Miller worked with a multitude of other influences, most often referring to his own work in Antarctica and consequent book, “The Book of Ice.” The musical constructions were illustrated by images and videos, notably a hilarious Fats Waller “The Joint is Jumpin,” a work commissioned by the NAACP, and some mesmerizing graphic montages of staves, circles, and imploding patterns. 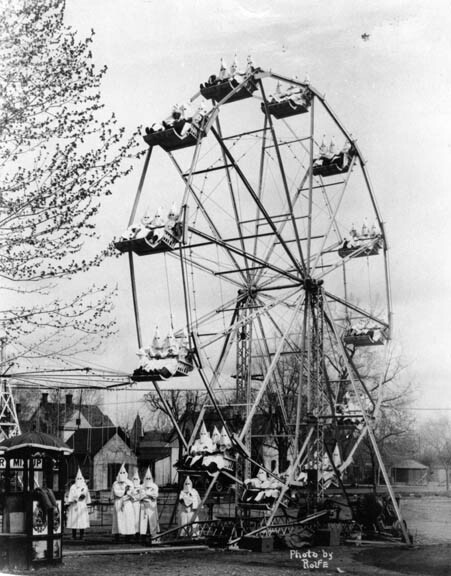 He also included, for reasons not entirely clear, an image of Klan members posed on a Ferris wheel. The end result was like a fractured prism, bits and pieces of music and image that formed kaleidoscopic memories. Topher Levin wrote a review for KCMetropolis.org. Right on the money.